Frank Castle is the Punisher! 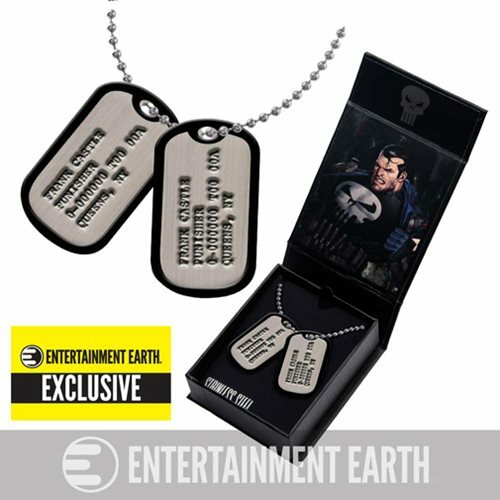 Exclusive Frank Castle dog tags replica! Set includes a 22-inch ball-chain necklace and 2 military-style dog tags. Packaged in a full-color magnetic jewelry box.